California is just one of those destinations that we feel like we can never get enough of. I think what I love most about it is the diversity one state represents. Whether you’re looking for big city sights, a day at the beach or looking to catch a glimpse of the desert, it’s got something in store for you. 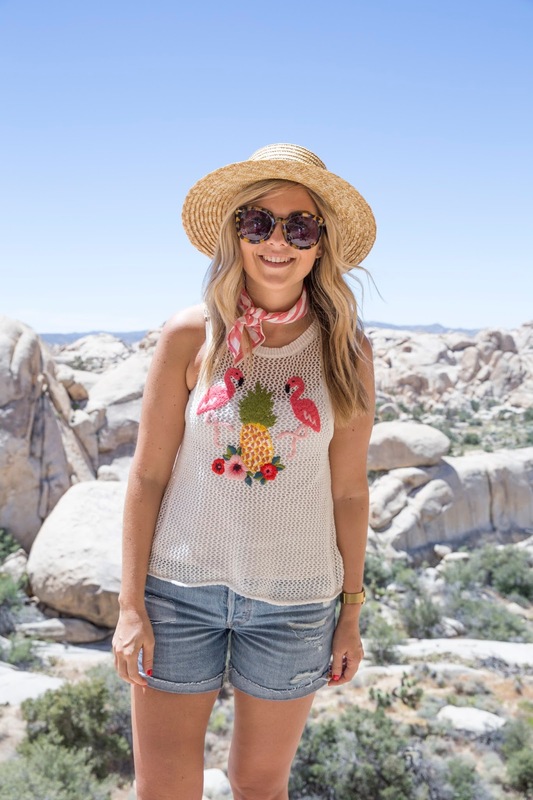 Palm Springs was a destination that has always been on our list to visit but we just hadn’t found the right time or date to visit. 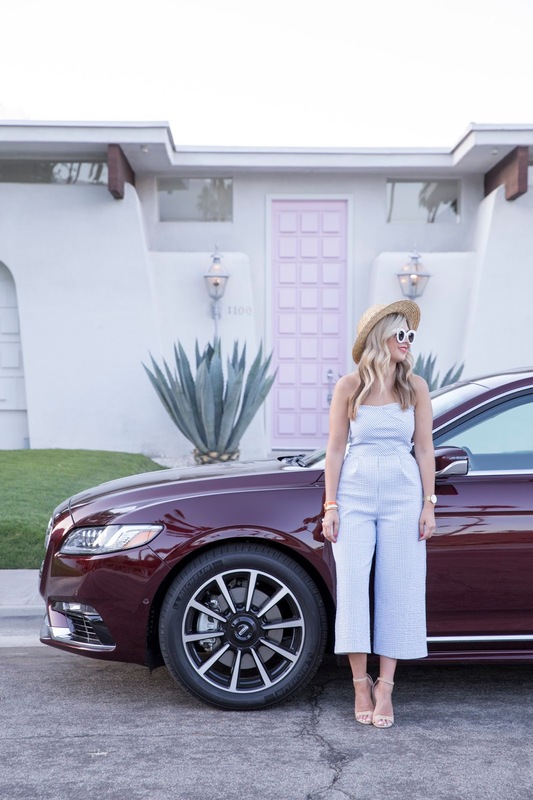 So when our friends at Lincoln Motor Canada asked us if we’d be interested in test-driving the new 2017 Lincoln Continental in California, we said yes! 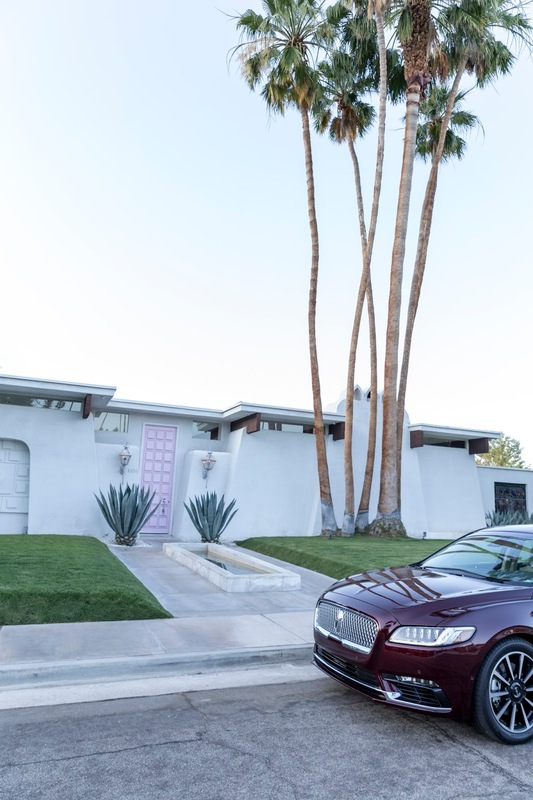 When we found out we were going to test drive it from LA to Palm Springs, we screamed HECK YES! I actually had the chance to preview the vehicle at an exclusive event earlier this year and I have to say, I was beyond impressed. 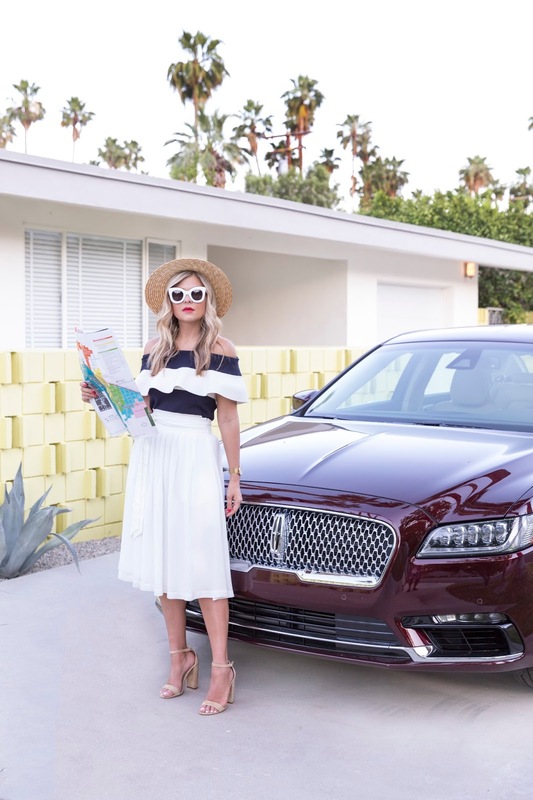 The Lincoln brand is near and dear to my heart – I had the pleasure of making my parents go grey learning to drive on one ;) What I love about the brand and this new model is how they’ve reshaped the brand and the audience for their vehicles with the introduction of new lines, colours, features and more – but back to that later! 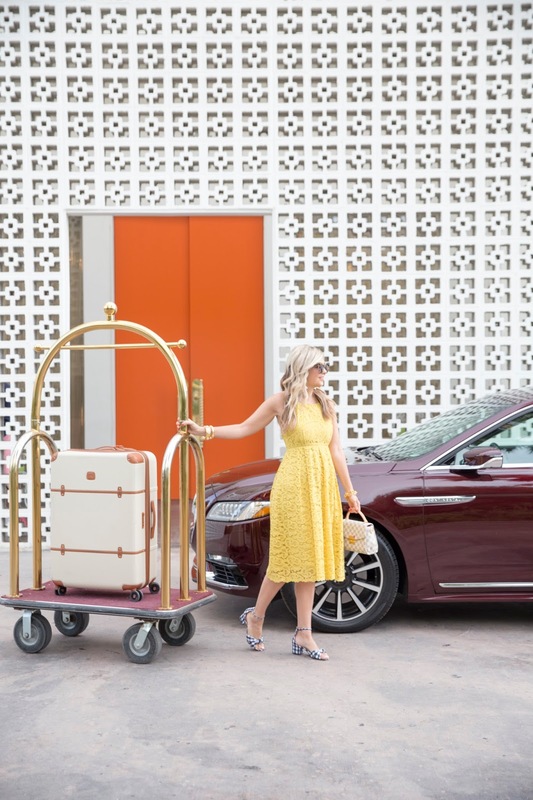 Since we booted around town in our snazzy Continental for the long weekend, we figured what better way than to share our guide to all things Palm Springs? If you plan to visit the area, chances are you’ll be flying into Los Angeles like we did. While we had banked on a good 2.5-3 hours to get from the airport into the area, I definitely recommend adding more time. And for all of us non-Californians, be sure to include time for a highway pull-off to grab an In n’ out Burger! Thankfully the near 4-hour drive (ohhh LA city traffic) was made much easier with some awesome features in the Lincoln Continental. We had our LA playlist ready to go thanks to so many of your tips. 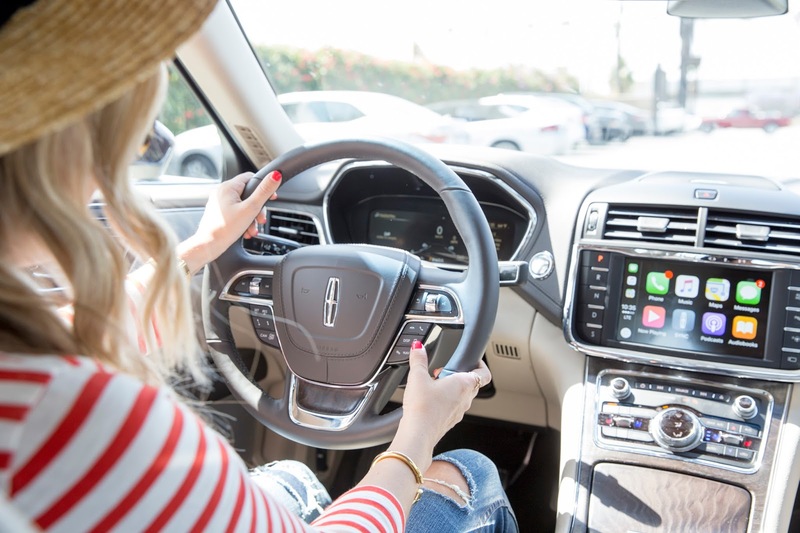 And because we both love to sing to our favourite songs at the top of our lungs, the Revel audio system in the Lincoln Continental completely enhanced the experience. With 3 different listening modes, you can shift from ‘Stereo’ sound to ‘Onstage’ which actually sounded like we were listening to the band live and in concert – Hotel California anyone? 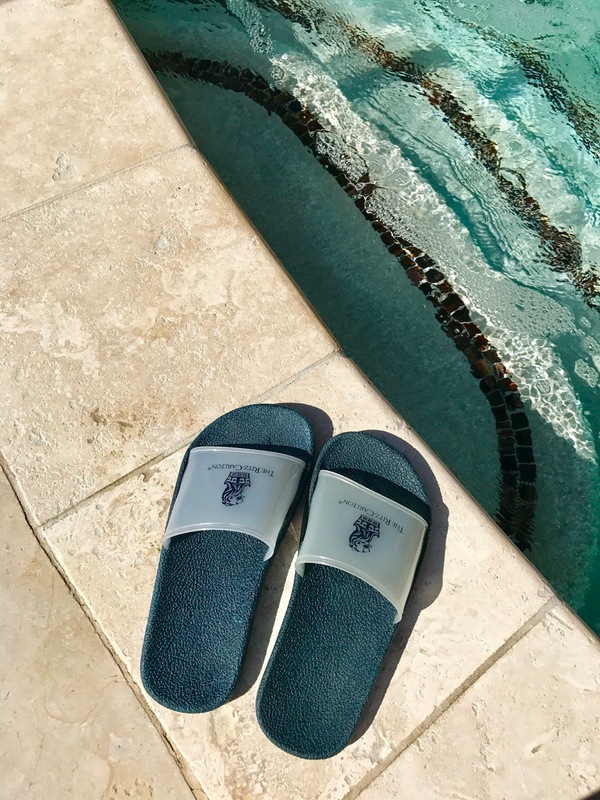 In light of all things luxury, the team was so generous to offer us the chance to visit the Ritz Carlton Spa Rancho Mirage. So I would by no means consider myself a massage connoisseur buuuuuut I might be bold to say it was one of the best massages of my life. No joke! And the relaxation area is this tranquil in/out space with a hot tub, palm trees surrounded and clear blue skies. I highly recommend a visit here if you’re staying in the area. Word is a ton of celebs hide out at this hotel when they visit the area for a weekend. Thankfully, the spa experience continued on our drive to our hotel. 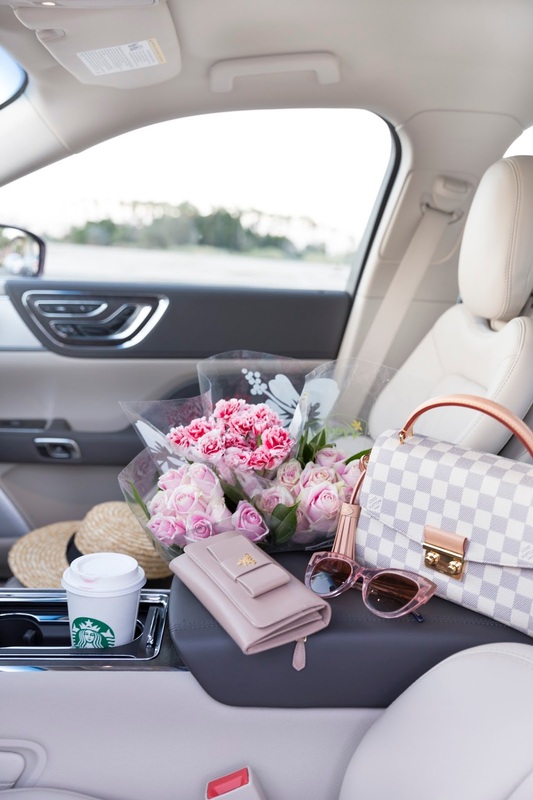 If you followed along on Instagram stories, you probably heard me raving about the seats in the car and trust me – it was no joke. 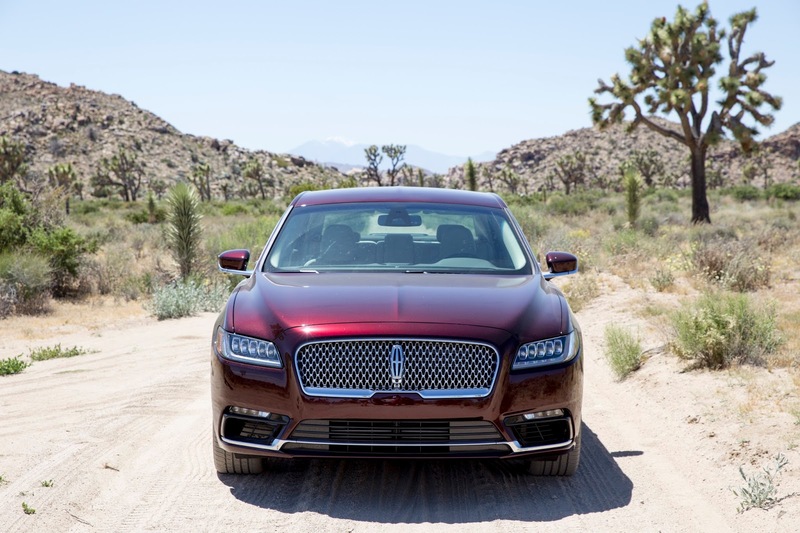 I mean there are your standard seat controls, and then there are the Continental grade levels of control – I’m talking a pedestal for your feet, AC controls (that desert heat tho!) and the best part: a massage function. Yes, you read that right – a massage function. I didn’t bother to even start the car before that function was up and running! Feeling completely relaxed after a long day of travelling and driving, we cranked the AC, and scooted on over to our abode for the next few days: the Parker Palm Springs. This hotel has been a bucket list property for myself for YEARS. That infamous orange door, Norma’s breakfast spot, the Lemonade stand – I felt like I had the property mapped out and I hadn’t even been there yet. I will say: the property does live up to the hype. From its stunning design (a la Jonathan Adler), to friendly staff and beautiful grounds, it was more inspiring than I could have imagined. We hung out at the adults only pool for an afternoon but there was also a family friendly pool on the other side of the property – it’s 13 acres! 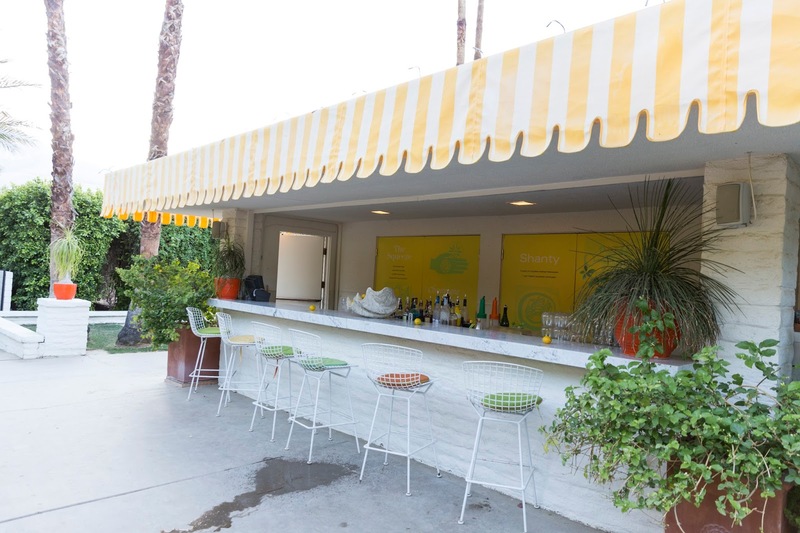 The Lemonade stand is a must do for happy hour – we fell in love with their different variations on all things cocktail spritzers. One of our favourite parts of the hotel was the adorable bike they loan out to guests to tour the property and surrounding area. Did I mention the fact that they were pink?!? I also loved how the property had something for everyone – hammock swings, lounge chairs by the fire, bocce ball courts, croquet lawns, pools, design books lying around for a good read – it really is a source of inspiration. We did get the chance to pop into a few other properties during our stay that looked quite fun. The Saguaro Palm Springs was bright, colourful and had quite the pool party kicking on a Saturday afternoon. The Colony Palms hotel was another spot we visited for dinner one evening and it too had beautiful grounds, fun striped awnings and one heck of a pool setup. We were spoiled this trip and didn’t have to spend grueling hours trying to figure out which restaurants to hit and which ones to avoid. 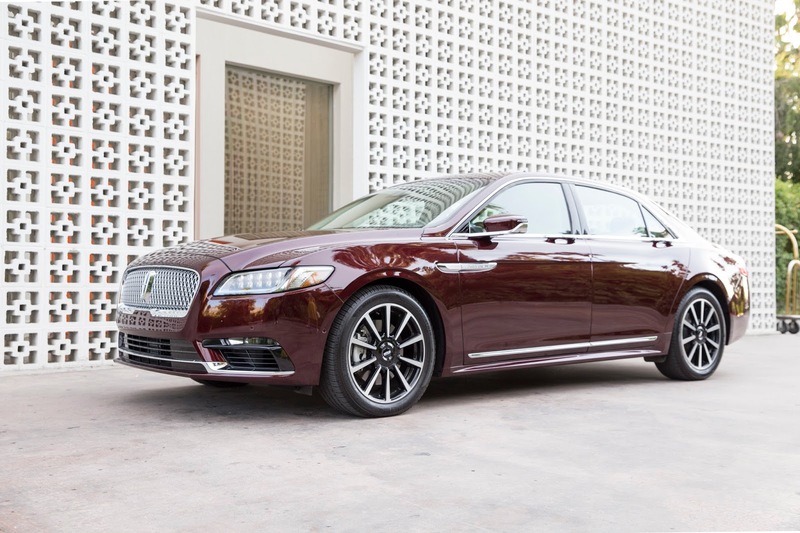 The lovely team at Lincoln Motor Canada arranged all our reservations and I must say – they did not disappoint. 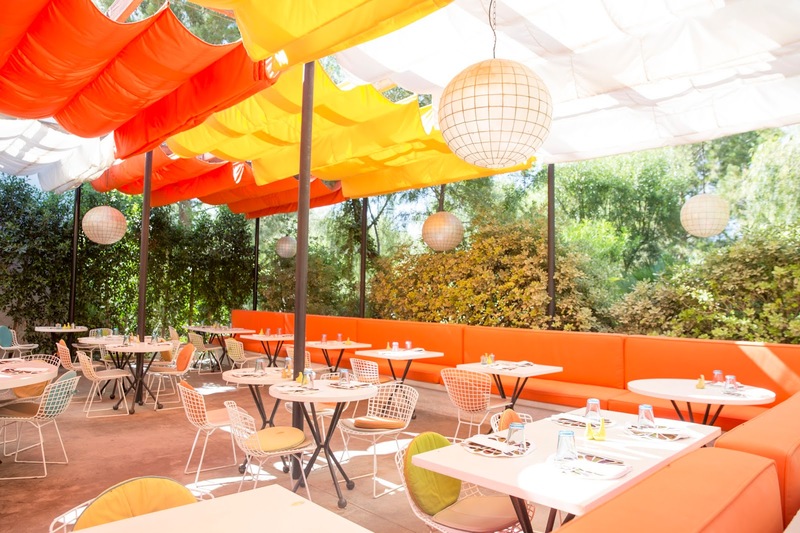 Norma’s Breakfast at the Parker Palm Springs: Great brunch spot for a lazy Sunday. They sample their daily smoothie on the house and have some amazing brunch options that veer from your average breakfast joint. Birba: Quite possibly our favourite meal of them all. Dinner is served in a dreamy setting with patio string lights, great cocktails and food that is to die for! Be sure to order the pizza! The Purple Palms Restaurant: Definitely a romantic setting for dinner. It has that quintessential California bohemian vibe to it that you just fall in love with. Wine list was amazing and both our meals were out of this world. The Workshop Kitchen + Bar: Since it rains only 10-12 days a year in Palm Springs, dining al fresco is a norm in the area and this particular restaurant had such a beautiful courtyard. We were wowed by their mixologist and totally won over by their burger and French-fries – SO good! Customs Coffee: We stopped in here for a quick pick me up one afternoon and loved the vibe of this coffee house. 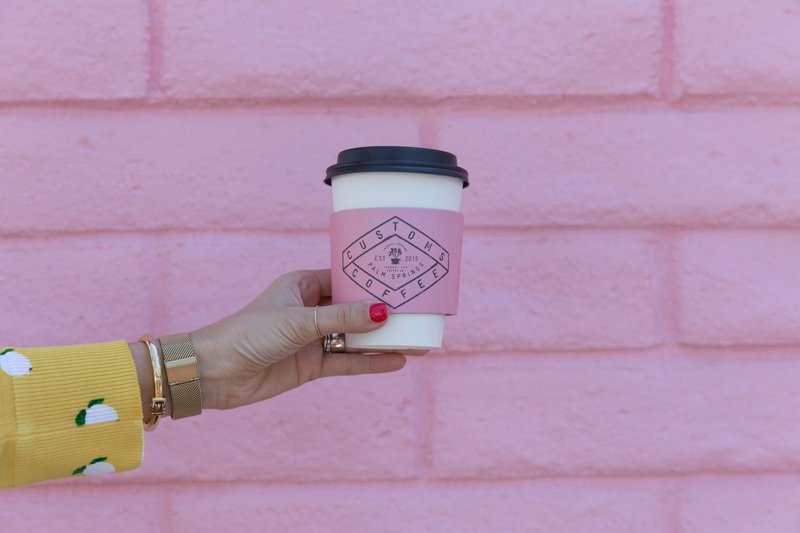 The pink cups are equally as cute. Cheeky’s: A MUST do for breakfast in the area. Their cinnamon rolls are to-die-for! On our list but we never got the chance to make it: Farm Restaurant, Spencer’s, Barn Kitchen and Resevoire. The Bar: A low-key spot to grab a quick drink before or following your meal. The craft beer list was amazing. We never made it, but heard that CBB Brewery was also a must-do! The Tropicale: A tiki-inspired (but not tacky) spot to grab a great cocktail and people watch! On our list for the next visit: Bootlegger and Tonga Hut. 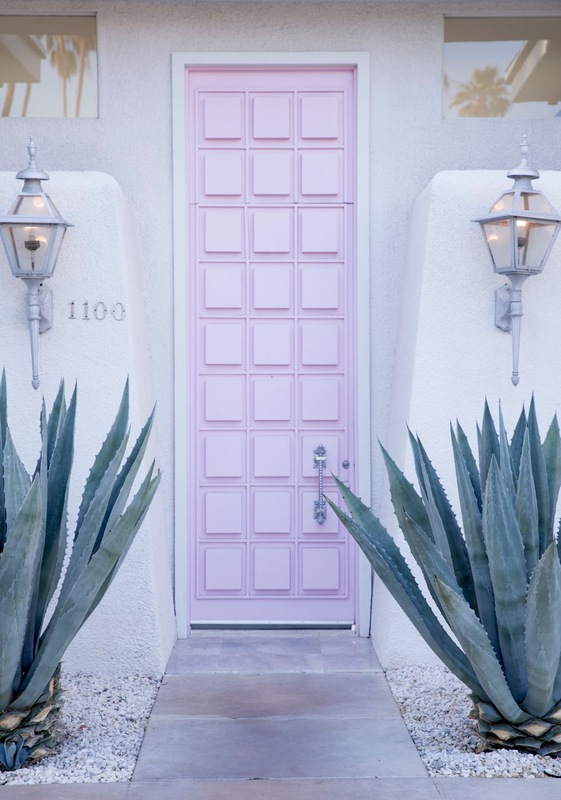 You can’t help but notice the architectural design of the homes in Palm Springs. That midcentury mod look – which isn’t normally my style – slowly becomes more and more appealing as you consider the era and nostalgia behind their designs. We had the pleasure of cruising through our tour and spotted homes of the rich and famous such as Frank Sinatra, Elizabeth Taylor, Leonardo DiCaprio and more. Let me tell you, being chauffeured around (Adam drove and our tour guide took the passenger seat) was a great way to see the city ;) And while most dread a backseat experience, this was a dream. With my own climate control, massaging capabilities and legroom to spare – I was living the life. So ok, anyone who knows me, may know that Krystin and hiking are rarely put together in the same sentence. And I’ll be honest, I had my doubts… but this was something Adam really wanted to experience on the trip. So we booted from Palm Springs over to Joshua Tree on our Sunday morning for the full experience. I must say, the views alone during the drive are a sight for sore eyes. The windmills are instantly recognizable and definitely worth a visit if you’ve got time to spare. 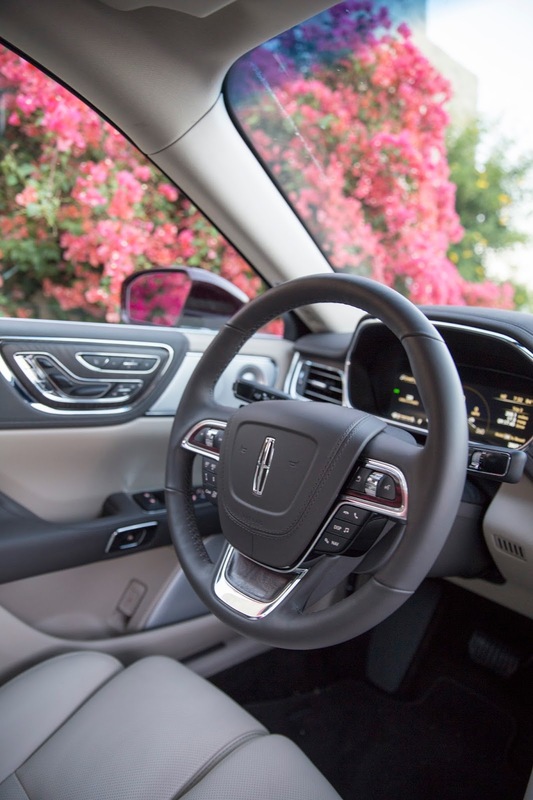 Thankfully, as Adam was gawking and gazing while driving, we experienced for the first – and last time – the Lincoln Drive Control feature. As much as I hate to admit it, the boy does veer from time to time when he drives and being gently steered back into the center of the lane was perhaps one of the most reassuring and valuable features of the car. 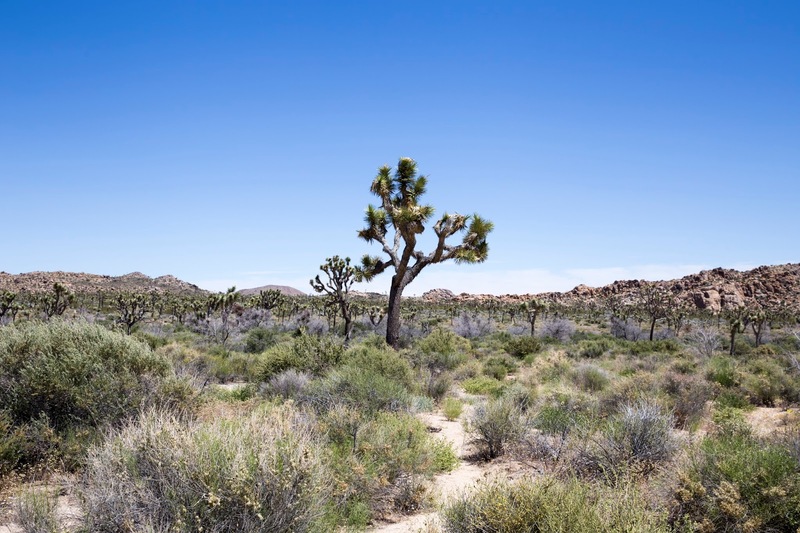 We hiked Joshua Tree for the better part of the day but were taken on a scenic tour that was off the beaten path. Scaling boulders, dodging cactus and coming across fun insect species made it a truly memorable experience. Oh and a tip for all you non-hikers out there – distressed jean shorts and fashionable sneakers are a poor choice I learned for the desert lol! 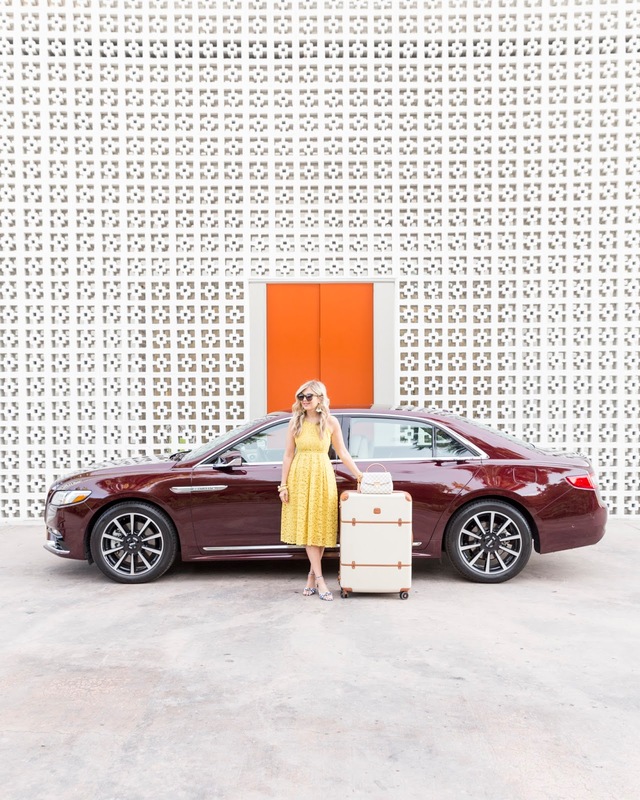 This blog post was created in partnership with Lincoln Motor Canada. Loved reading this, great photos as well. Love your style so much! I need that flamingo tank! Ok, that's it, my next trip NEEDS to be to Palm Springs!! This post is wonderful! 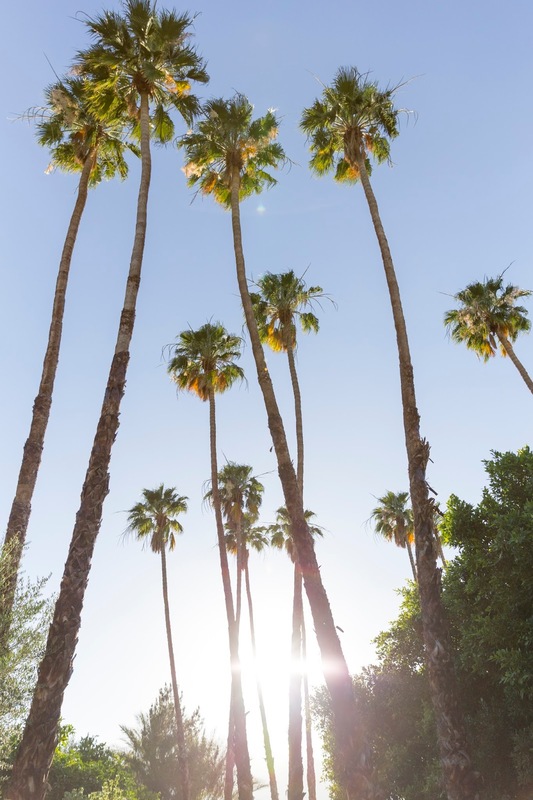 So jealous of your time in Palm Springs, it is one of my favorite cities!! Looks like a blast! Palm Springs is a gorgeous place!!! Your outfits are gorgeous! love this. Excellent .. Amazing .. I’ll bookmark your blog and take the feeds also…I’m happy to find so many useful info here in the Let me tell you, being chauffeured around (Adam drove and our tour guide took the passenger seat) was a great way to see the city ;) And while most dread a backseat experience. Good guide you are looking so beautiful in these images that you have shared with us, really nice post i glad to read your article every word. Great post keep sharing and visit same day taj mahal tour by train tour package. Designer CHAIRS from international manufacturers ✓ detailled info ✓ high-resolution images Mychaiselouge to Two main categories in which you can classify almost every chaise lounge chair on the planet? Amazing experience guide about travelling. thanks for sharing this journey with us. If you are looking for a Agra City then book a tour package with same day Agra tour by car is the best way to go. Grocery Store in Dubai Really appreciate you sharing this article.Really looking forward to read more. Really Great. Shopping Mall in Dubai wow, awesome post.Thanks Again. Much obliged.